Even though coral reefs only cover two percent of the ocean floor, it's estimated that they support 25 percent of ocean life. They also feed around one billion people, as these habitats are a lifeline for many species, including us. This is why it's saddening to say that they are severely affected by human activity. 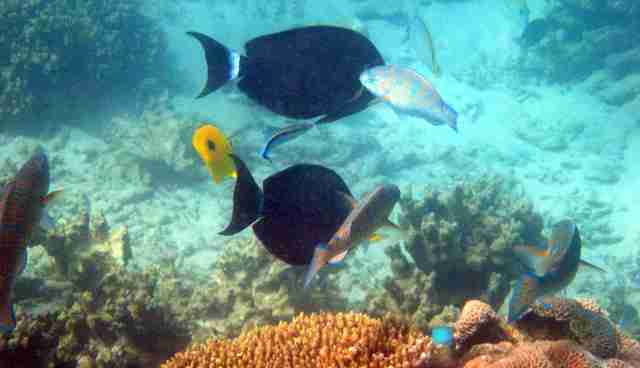 Within recent decades coral has vanished at alarming rates due to pollution, overfishing, disease and climate change. The Gulf and Caribbean waters have suffered immensely resulting in a staggering 80 percent decline which is faster than the rate of the more well-known decline in rain forests. Climate change causes average sea temperatures to rise and increases the frequency of hurricanes, putting stress on the coral and resulting in a loss of color, a process known as bleaching. These higher temperatures make the colorful symbiotic algae that live on coral lose their hold and therefore the coral loses its color in turn. Sometimes the color does eventually return but with increasing threats from the affects of climate change on a global scale, the increased related stress can potentially result in disease, failed reproduction and the partial or even complete death of whole colonies. 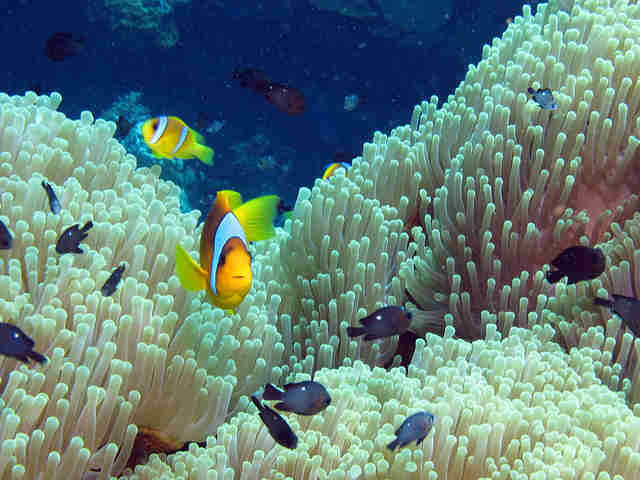 Efforts have been made by distributing survivors (the species that have adapted to climate change) to other colonies allowing an opportunity for some coral to thrive. Startling figures have been a wakeup call for scientists and over recent years efforts have focussed on replanting corals in areas known as "coral nurseries." This involves transplanting coral on to to structures of stone or brick which are placed against supporting walls or "buttresses." These house wild coral populations which then colonize and develop upon the structure. Creating these coral nurseries is challenging and initial attempts proved raising coral to be difficult and impractical; they are slow growing, fickle and have a symbiotic relationship with specific algae which all put a strain upon their development. Despite this, after several years of trial and error, coral nurseries are now on the rise and becoming more and more successful. 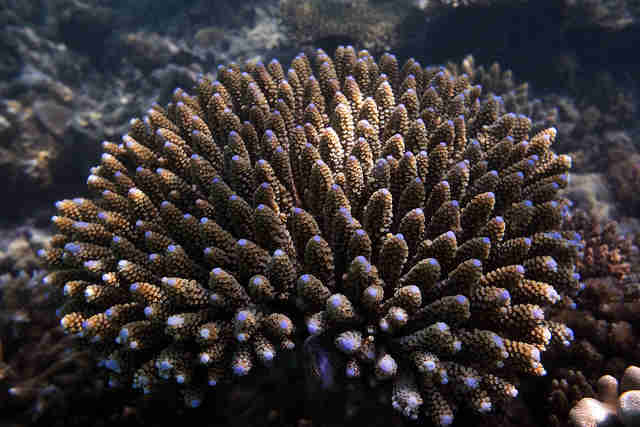 Branching corals such as Acropora, have been discovered to thrive in nursery environments whereby their arms break off and enable the formation of dozens, even hundreds, of new colonies. These new colonies also grow a lot faster than wild ones and reproduce sooner; great news! It's now been just over 15 years since the first nursery was constructed and it's been evident that this is the best approach to succeed in the re-establishment for this type of provision for marine life. Needless to say, the idea of coral nursery construction is still in its infancy and there is still much to be learnt. 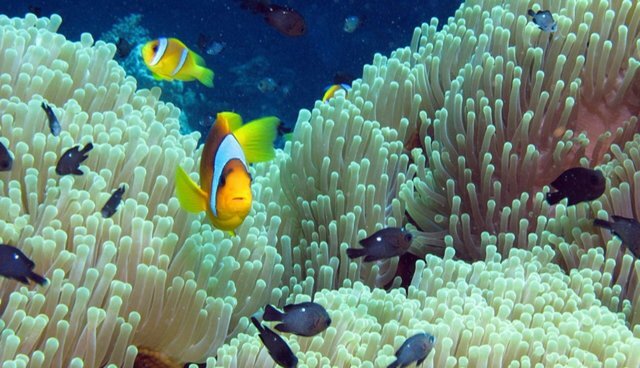 Problems may arise when establishing coral nurseries on a massive scale. It leads to concern as every new coral is genetically identical to all the others which worryingly makes the reef susceptible to disease. But there is a key technique to preventing this; sexual reproduction can be triggered as the gametes released from a reef can float for miles and then create genetically new offspring when they land elsewhere. To add to this vital field of research, Frontier is proposing a coral nursery be developed on Nosy Be, Madagascar. Still in the early stages, marine assistant research officer, Maren Toor, is carrying out a personal project to investigate the likely success of this venture. Several possible substrate materials (including concrete, plastic and terracotta) have been identified, tiles attached to a wire grid and deployed at four of Frontier's research sites. These tiles will be left in place for five months and visited every two weeks when coral and algal cover will be measured. The purpose of this is to give feedback on the best material and location for future coral nursery development to enable the repairing of coral reefs in this area. This is an exciting time for the Madagascar team; check out Fronter's Madagascar Marine Conservation & Diving Project if you would like to be a part of it! And check back here in a few months for updates on how the coral nursery experiment is progressing. Annabel is an intern at Frontier, an international non-profit volunteering NGO. Frontier has over 300 dedicated conservation and community development projects as well as plenty of inspiring gap year ideas to help make your time out meaningful. For more information on all the opportunities available please visit www.frontier.ac.uk. Check out Frontier's blog ‘Into the Wild' where you can read more articles like this! Happy reading! Get more from us on social media with Facebook, Twitter, and Pinterest. See more from volunteers on YouTube, Flickr and Instagram #FrontierVolunteer.